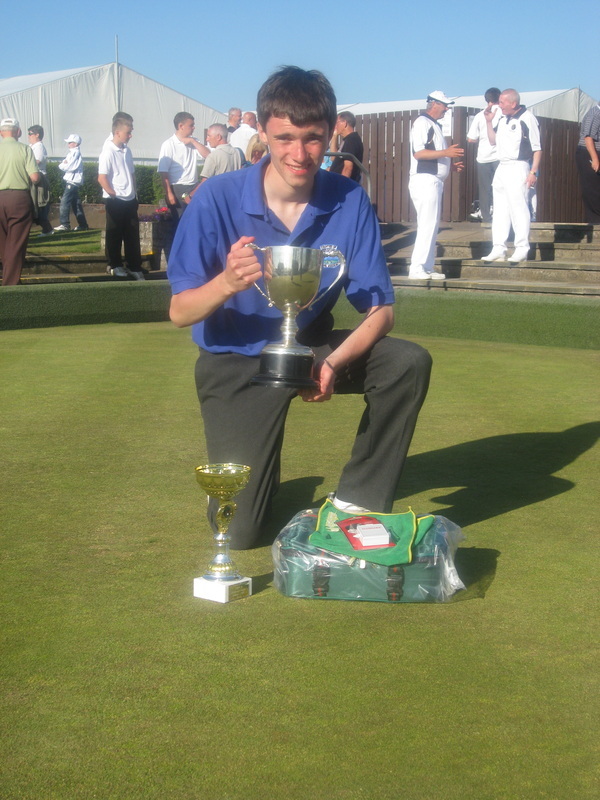 Congratulations to 15 year old Jason Banks of Inverurie Bowling Club who won the Scottish Young Bowlers Association National Under 17 Singles Championship. 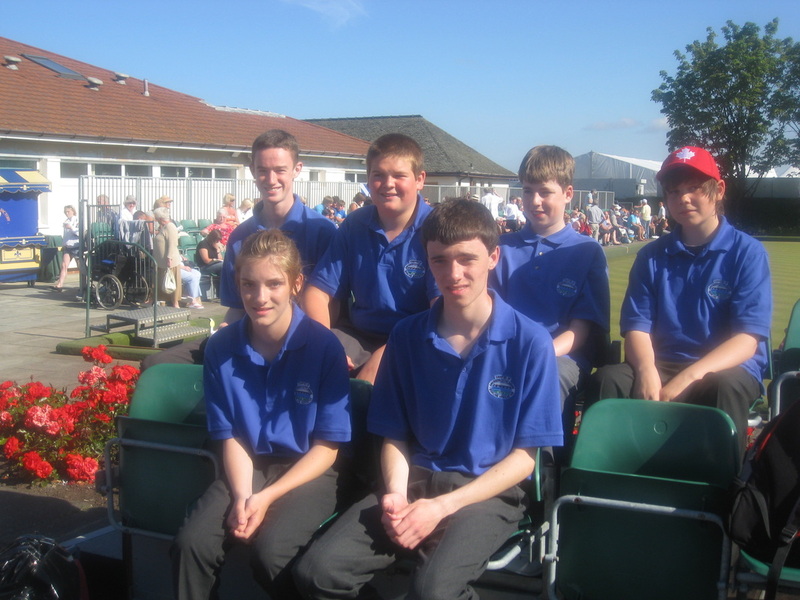 The SYBA National Finals were held at Northfield Bowling Centre in Ayr on Tuesday 26th July 2011, a day prior to the Bowls Scotland National Championships. each of the Singles, Pairs and Triples disciplines, each having won their district qualifiers in order to compete at the Finals. The Singles, Pairs & Triples were split into groups of 4 sections of 6 competitors and they played 5 games in a round-robin format. The winner of each section went through to the semi- final stage. Jason won his section, which included players from Ayrshire South, Greater Glasgow, Angus & Dundee and Central East districts. 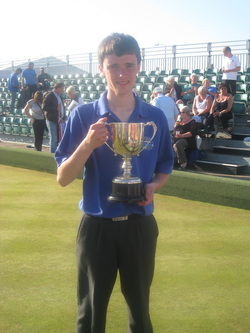 He then played against Stuart Fleming from Orbiston BC, Lanarkshire in the Singles Semi-Final, winning 14-5. In the SYBA National Singles Final he conquered Declan Farrow from Sanquhar BC in Dumfries & Stewartry by 11-6. The standard of bowling from all the juniors taking part in the National Finals was very high and this is a great achievement for the local young bowler. Jason was presented with the Curtis, Sloan & Hewett Cup, which he keeps for a year. He also was presented with another trophy which he can keep, a bowling bag, a measure and cloth. Jason wasn’t the only local bowler who played at the SYBA National Finals though. 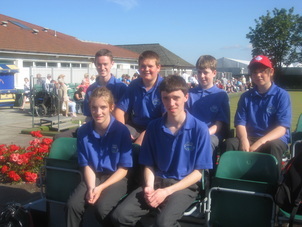 Andrew Reilly (Westhill) and Jamie Hoper (Insch) competed in the National Pairs. They won 2 games, drew one and lost 2 and gave a great account of themselves against some very tough opposition. Also down to Ayr to play in the SYBA National Triples competition were Martyn Thomson (Inverurie), Cameron Taylor (Insch) and Carla Banks (Inverurie). They won 3 games and lost 2 (one game only by 1 shot) and came runners up in their section, so just missed out on reaching the Triples Semi-Final - which is a great achievement against some of the best young players in Scotland. 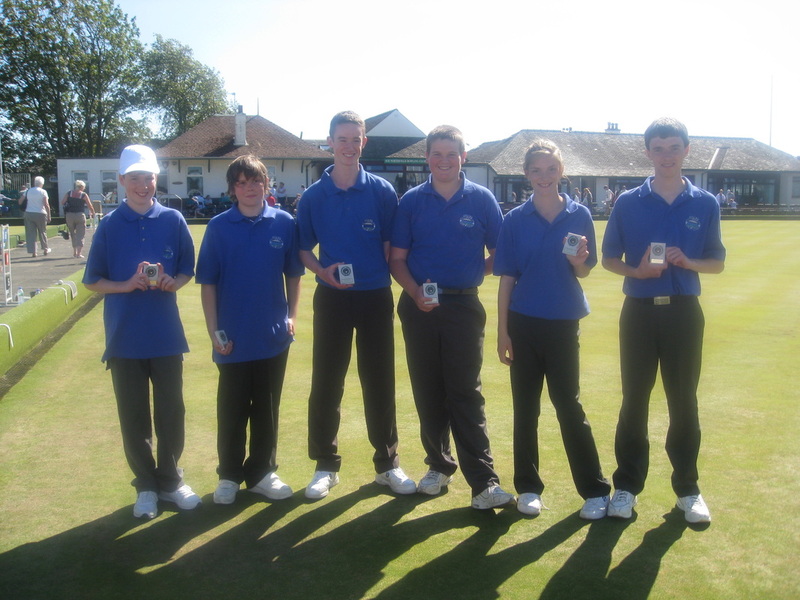 Congratulations and well done to all six players. It was a great experience for all the young bowlers and one which their families and supporters also enjoyed - the glorious weather also helped to make the occasion a memorable one. A big thanks must go to everyone who travelled to support them - especially Jim Whyte, a Past President of Inverurie BC, who helped to mark games for most of the day. The icing on the cake for Jason and Andrew is that they have now been selected to play for the SYBA National under 17 Scotland Team. They will play against England (Northern Counties) on Sunday 18th September 2011 at Gosforth, Northumberland. The boys are already looking forward to the team get-together and to the match against the “auld enemy” ! Cameron Taylor (Insch), Jamie Hoper (Insch), Andrew Reilly (Westhill), Martyn Thomson (Inverurie), Carla Banks (Inverurie), Jason Banks (Inverurie).